eBay is rolling out new fees and policy changes as part of its 2013 spring Seller Release. eBay will now allow sellers to list more items for free and is introducing a simplified fee structure. In some cases, sellers will save on fees, but especially for higher-priced items, non-Store owners will pay more. eBay said the fee changes are a "part of an ongoing effort to reduce the basic upfront cost of selling on eBay for all sellers, and to make it easier for sellers to see at a glance what it costs to sell." eBay also addressed the reality that its sellers are listing on rival marketplace Amazon.com. It published a side-by-side comparison of eBay and Amazon fees. Note that eBay presented its fees without showing PayPal fees, while Amazon's referral fees do include payment processing - a rather important omission. eBay will increase monthly subscription fees for Basic and Premium Store subscriptions, though they remain the same if sellers opt for a yearly subscription. eBay is giving itself the discretion to limit the exposure of duplicate auction-style listings in order to "ensure a positive buyer experience." However, eBay will still charge the full insertion fee for each listing even if a listing didn't appear on eBay for the full duration of the listing, though it may be eligible for an insertion fee credit. eBay will require Buy It Now prices to be 30% over the starting price for auction BIN listings in order to "better differentiate between fixed price and Auction-style listings, and to keep the unique eBay auction-style listings a great attraction for buyers." The changes to eBay standard fees will go into effect on April 16, 2013, and fee changes for eBay Stores will go into effect on May 1, 2013. eBay is making the listing Scheduler free for sellers without an eBay Store, and all other optional advanced listing upgrades will be available at their current prices. eBay states, "Starting May 1, get up to 2,500 FREE listings* per month with your eBay Stores subscription." However, while Anchor stores get 2,500 free listings/month, Basic stores receive only 150 free listings/month. After that, a Basic Store owner will continue to pay 20 cents for Fixed Price insertion fees, but insertion fees for Auction listings will go from 10 cents to 25 cents. Another major change in the spring Seller Release is a change to eBay's Seller Protection policy: Beginning May 1, positive, negative, or neutral buyer feedback will be removed from transactions in which an eBay Buyer Protection case is resolved in the seller's favor by eBay, and any related comments and detailed seller ratings (DSRs) left on that transaction will also be automatically removed. This will be a significant and welcome change for sellers, and one of the most major changes to feedback in a long time. In addition, sellers will be able to open an unpaid item case against non-paying buyers as early as two days after a transaction ends and payment is not received beginning in early April either manually in the Resolution Center or using the Unpaid Item Assistant. Today, when a buyer clicks the Commit to Buy button on a Buy It Now listing, the item is considered sold and is not available for purchase by another buyer. Beginning in May, eligible items will continue to be available to other buyers until a payment is made. eBay said beginning in May, eligible fixed price listings and auction-style listings purchased with Buy It Now will remain for sale until a buyer has paid for the item. This change will be rolled out slowly over the course of the year, and eBay said the change would eliminate a significant number of unpaid items. Continuing in that vein, beginning in May, in the Computers & Tablets, Jewelry & Watches, and Art categories, "when you accept a buyer's Best Offer, the item will remain for sale until the buyer commits to buy, and in most cases, pays. Since the transaction is not completed until the buyer commits (or pays), you'll be able to accept multiple offers to increase your chances of selling the item." 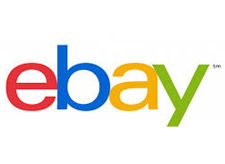 Starting July 1, 2013, eBay will start enforcing picture quality requirements it had previously announced on all new, revised, and relisted items. All photos must be at least 500 pixels on the longest side of the picture. Photos cannot have borders, nor can they have seller-added text or seller-added artwork. There is a lot changing on eBay with the 2013 spring Seller Release. Without further ado, here's the link to the overview. Readers, be sure to let us know what you think of the changes and which ones will impact you the most.